Exclusive! 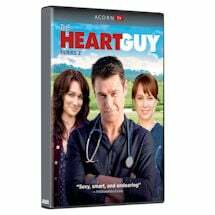 Hugh Knight is a talented but arrogant heart surgeon banished from Sydney to his rural hometown of Whyhope to work as a GP. In Series 3, Hugh's probation comes to an end, but with the death of his father leaving a huge debt, Hugh realizes that he has no choice but to stay in Whyhope and hold his family together. 10 episodes, 8 hrs, 3 DVDs. Episode 1: Tell Her, It's Over! After Jim's death, Hugh and Matt disagree about how to run the farm, and Hugh learns his probation might end a month early. Hugh decides to prolong his stay in Whyhope but quickly realizes he's not cut out for farm work. Penny feels conflicted about her feelings for Hugh. To Matt's discomfort, Charlie's free-spirited father, Carlito, arrives with his girlfriend's teenage daughter, Ivy. Hugh receives surprising news from his ex-wife. 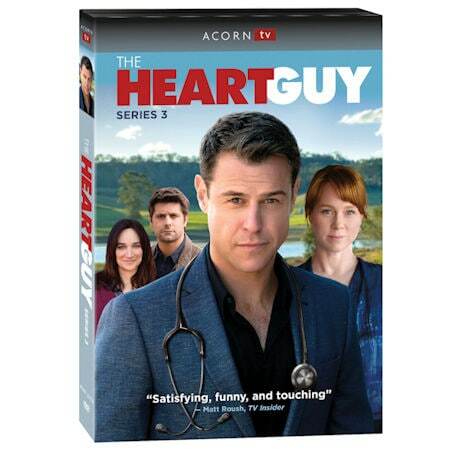 While Hugh has second thoughts about his agreement with Harriet, Penny rescues an injured wombat, but her new pet causes an uproar at the hospital. Charlie tries to make the best of the situation when Carlito takes off, leaving Ivy behind. Hayley returns home from the hospital with her baby son, Jimmy. After throwing his back out, Hugh is forced to perform his surgical duties from a gurney. Meryl expands her matchmaking business by hosting a speed-dating event. 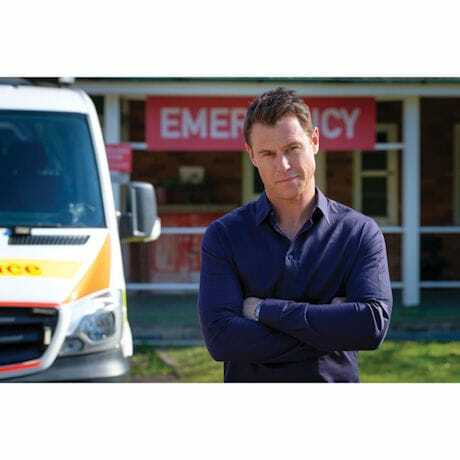 Hugh puts the farm on the market and plans to leave for Sydney, but a patient complaint complicates matters. Ivy is arrested, prompting a visit from child services. While Ajax resists Hugh's decision to sell the farm, a newly single Matt goes out with his old friend April, until an accident cuts the party short. 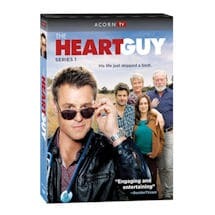 Meryl lashes out when she discovers the identity of the farm's buyer. Matt has mixed feelings about dating April, and Hugh and Ken are abducted by a desperate local. The three Knight men resolve to split the farm into thirds, Hugh agrees to induce Harriet's labor early, and Matt decides to clear the air with Charlie.